About Property Management specialises in property management services and is looking for more investment properties in Oxley and surrounding suburbs. Our boutique family run agency has a personable approach and we can guarantee next level service. Oxley is a south-western suburb in the City of Brisbane, Queensland, Australia. 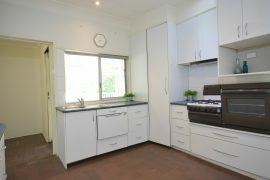 It is located approximately 10.8 kilometres from the Brisbane CBD. It was named after the early Australian explorer John Oxley. The suburb supports a mix of residential, retail and industrial land. The Ipswich Motorway traverses Oxley and the train from Brisbane to Ipswich has a station at Oxley, and is connected to a number of suburbs via bus services. A CityExpress bus stop on Blunder Road links Inala Plaza bus station to the inner city using Ipswich Road. Oxley Road connects the Ipswich Motorway to the suburb of Indooroopilly via the Walter Taylor Bridge.